Japan has published Housing Starts y/y data and the US will release Pending Home Sales m/m and CB Consumer Confidence. 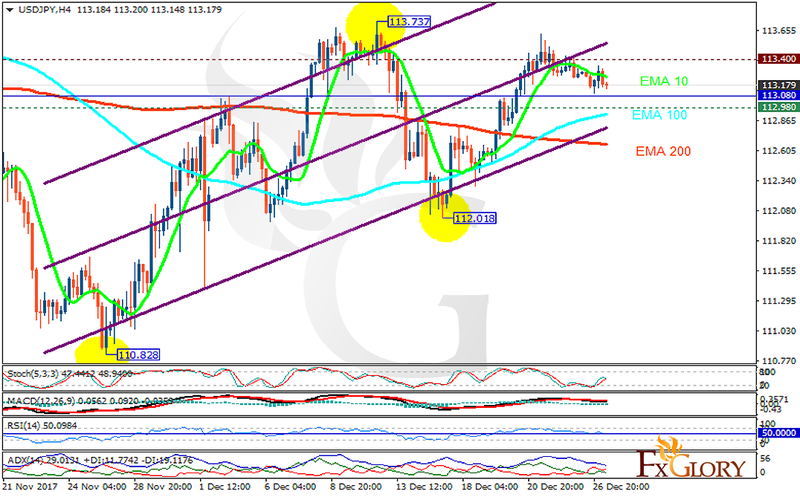 The support rests at 112.980 with resistance at 113.400 which the weekly pivot point at 113.08 is located in between the lines. The EMA of 10 is moving with bearish bias in the ascendant channel and it is above the EMA of 200 and the EMA of 100. The RSI is falling below the 50 level, the Stochastic is moving in middle ranges and the MACD line is below the signal line in the negative territory. The ADX is showing sell signal. Short positions are recommended towards 112.65.